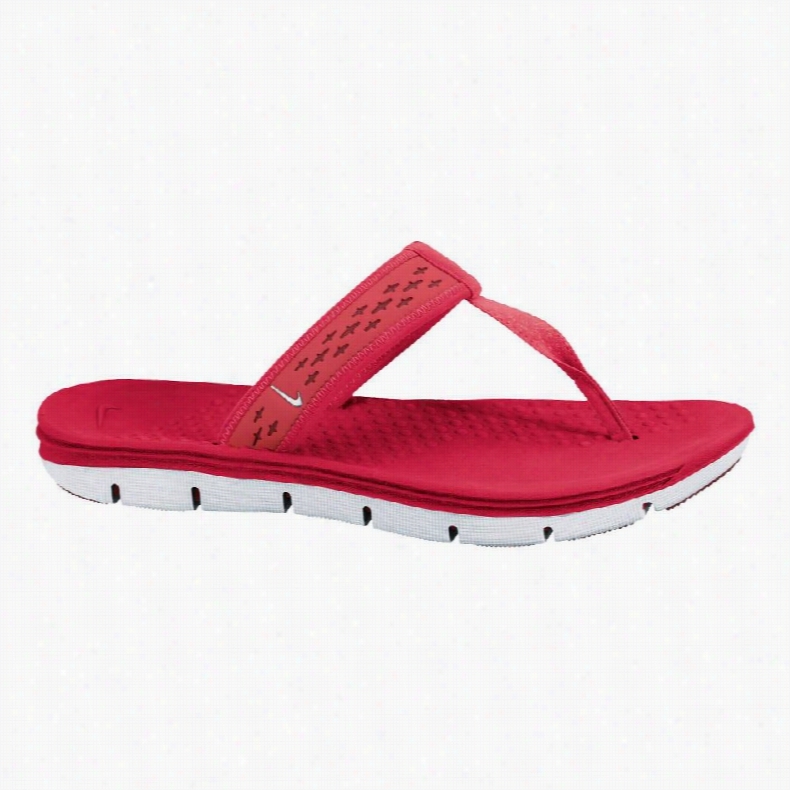 Nike 8060AF 617 Satin Red. 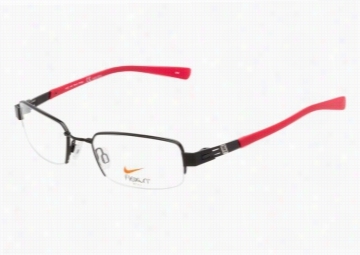 Nike 8060AF 617 Satin Red eyeglasses seamlessly blend premium materials with streamlined design creating a sporty look ideal for vigorous activities as well as business attire. The slim rectangle shape is enhanced by futuristic matte red metal which is juxtaposed by sleek acetate arms in matte black. Dark red Nike swoosh logos grace each temple for subtle intrigue and silicone nosepads ensure minimal adjustments and a comfortable fit for a variety of face shapes and sizes. Nike 8100-4 001 Shiny Black. Nike 8100-4 001 Shiny Black Eyeglasses have an understated sporty vibe combining minimalistic design and premium materials for a versatile high impact look. The rimless frame is augmented by a shiny black metal nose bridge and temples while acetate arms in a muted shade of green and small Nike swooshes at each temple provide understated contrast and flair. Silicone nosepads ensure a proper fit for a wide range of face shapes and sizes. Nike 4245 040 Deep Royal Blue. Nike 4245 040 Deep Royal Blue eyeglasses blend timeless design with modern details creating a versatile premium look ideal for both sporty activities and day-to-day wear. The understated semi-rimless rectangle shape is nicely enhanced by matte gunmetal grey metal while matte royal blue acetate arms and Nike logos at each temple create subtle contrast and intrigue. Silicone nosepads ensure a comfortable fit and minimal adjustments for a variety of face shapes and sizes. Nike 8100-1 011 Satin Black. 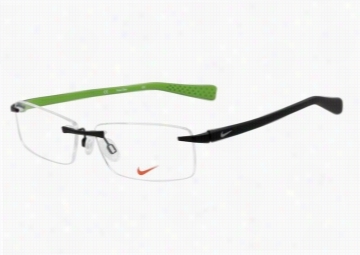 Nike 8100-1 011 Satin Black eyeglasses have an understated sporty vibe combining minimalistic design and premium materials for a versatile high impact look. The rimless frame is augmented by a satin black nose bridge and temples while matte black acetate arms and small Nike swooshes at each temple provide understated contrast and flair. Silicone nosepads ensure a proper fit for a wide range of face shapes and sizes. Nike 4245 033 Gunmetal Dark Atomic. 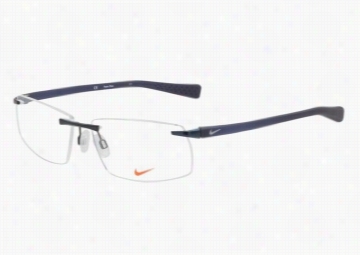 Nike 4245 033 Gunmetal Dark Atomic Eyeglasses blend timeless design with modern details creating a versatile premium look ideal for both sporty activities and day-to-day wear. 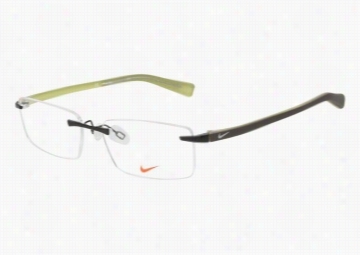 The understated semi-rimless rectangle shape is nicely enhanced by glossy gunmetal grey while matte dark green arms and Nike logos at each temple create subtle contrast and intrigue. Silicone nosepads ensure a comfortable fit and minimal adjustments for a variety of face shapes and sizes. Nike Free SB Skate Shoes. Nike 4245 001 Black Red. 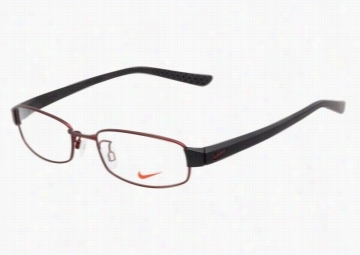 Nike 4245 001 Black Red Eyeglasses blend timeless design with modern details creating a versatile premium look ideal for both sporty activities and day-to-day wear. The understated semi-rimless rectangle shape is nicely enhanced by glossy black metal while matte red acetate arms and Nike logos at each temple create subtle contrast and intrigue. Silicone nosepads ensure a comfortable fit and minimal adjustments for a variety of face shapes and sizes. Nike 8208 033 Light Gunmetal. 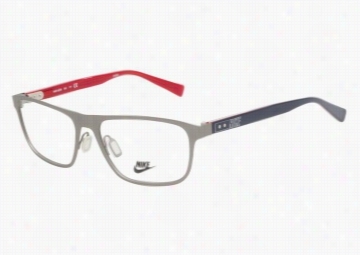 Nike 8208 033 Light Gunmetal Eyeglasses combine retro details with sleek sporty design creating a sporty aesthetic ideal for both high impact activities and sophisticated daily wear. The rectangle wingtip shape is emphasized by matte light grey metal while slim black acetate arms and Nike logos at each temple provide understated flair and contrast. Silicone nosepads ensure a proper fit for a wide range of face shapes and sizes. Nike 8100-3 410 Satin Blue. 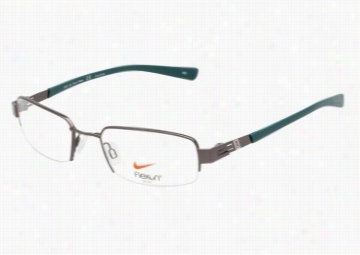 Nike 8100-3 410 Satin Blue eyeglasses have an understated sporty vibe combining minimalistic design and premium materials for a versatile high impact look. The rimless frame is augmented by satin-finished midnight blue nose bridge and temples while midnight blue acetate arms and small Nike swooshes at each temple provide understated contrast and flair. Silicone nosepads ensure a proper fit for a wide range of face shapes and sizes.